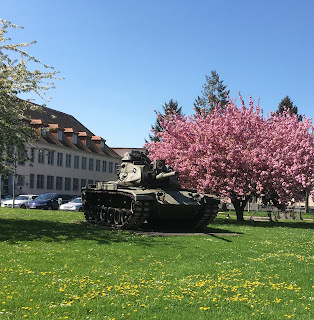 I learned a historic detail about cherry blossoms that is a bit morose and melancholy from the excellent podcast series Short-Cuts, in the flowering trees’ association with kamikaze pilots during World War II. A parable was told young aviators that they were to aspire to be fearless and unflinching in their sacrifice like the cherry blossoms who live a short but glorious life and fall from the branches without clinging. Women would wave farewell to departing Zeros with cherry blossom branches and “volunteer” pilots composed long elaborate death poem—following the tradition of the samurai and ritual seppuku. Now go here for some happier, meditative traditions connected to this time of year.